Defend your base from the waves of enemies at any price! - Complete the campaign of 14 levels and show what you can in Survival mode! - Develop the base to gain access to new units, turrets, methods of support. As a result, the base may become a flying fortress! 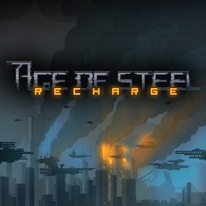 - Use tanks, aircrafts, ships against enemy and powerful bosses!